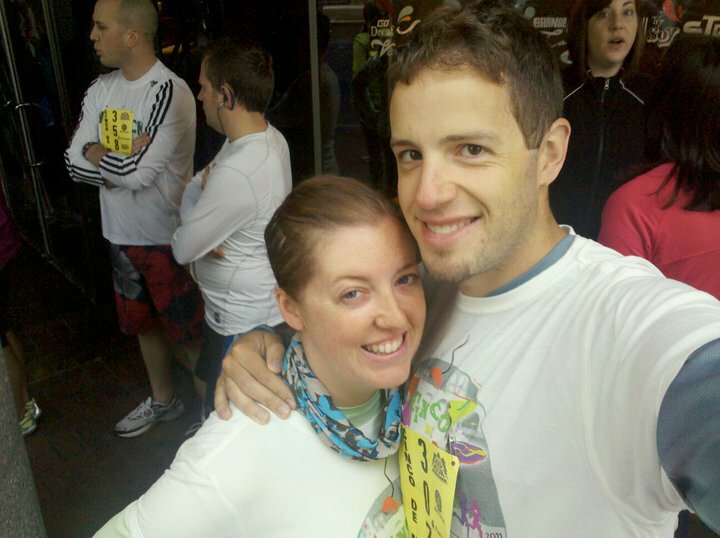 Last Sunday morning, while the kids were still at the beach with the Swanks, we participated in our second race. 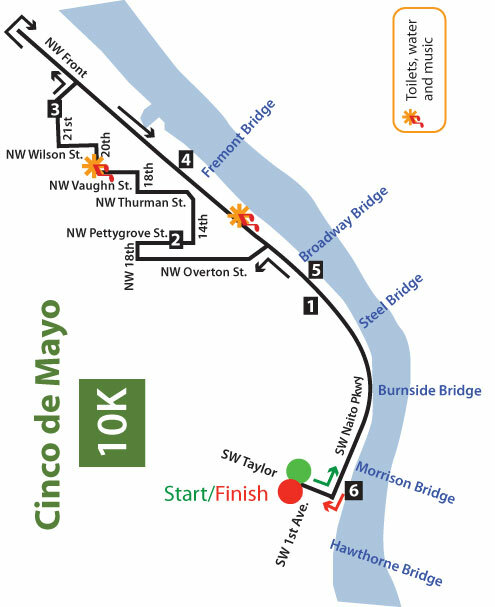 The Cinco De Mayo 10K in downtown Portland. 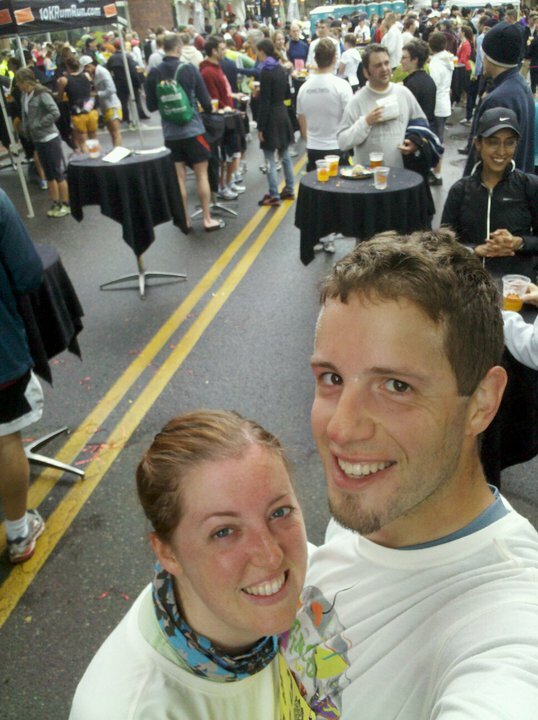 Double the distance from our first, we still managed to run the entire course without stopping! Here we are getting ready to run. The scenic route, which was almost completely flat. And after, a bit red the face. We did the 6.2 miles in 1:11:14, which isn’t fast, but at this point we are working on stamina and distance in prep for our 1/2 marathon in July! 2 beers and a burrito at 10am after a long run? YES PLEASE! Wow – very impressive. I am still huffing and puffing along at my granny pace. Not planning to sign up as a runner in a race anytime soon…but you are inspiring! You have more get up and go then I. I wish you were here to give our girl some pointers. She is in track and was in cross country track. She just loves to run.